I just used a small brush and free handed the stars , didn't feel like going to the store or spending any money .. I think they are adorable and make such a cute addition to our table ! 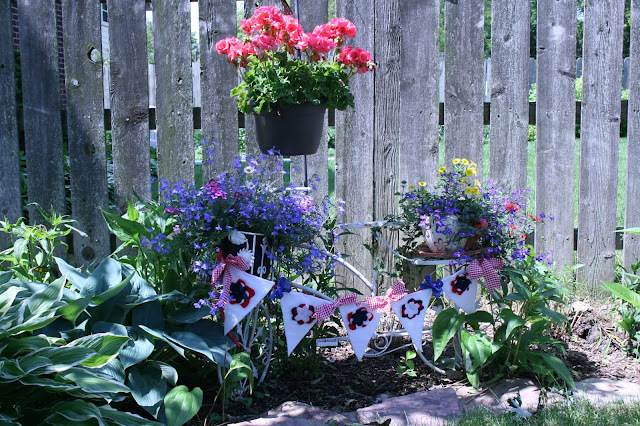 I wanted a banner for my little garden planter bike.. 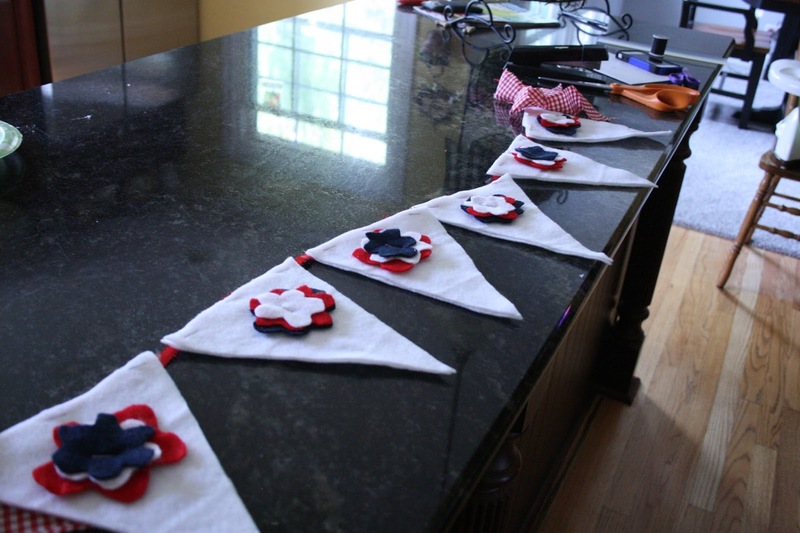 I have lots of felt so I used that , not sure how long it will last but so far so good and we have had a few rainy nights , I cut little flower shapes out of red , white and blue felt. I was going to hot glue them but instead I stapled them .and also stapled the pennant shapes to some ribbon. I made the pennants 2 layers thick by hot gluing them together so they were stiffer. I added some red gingham fabric , and some of the blue dot fabric .. I think it looks really cute ! Thanks as always for visiting and your nice comments ! Have a great day ! I think the banner looks great on the bike, and I may try those jars! What a good idea! 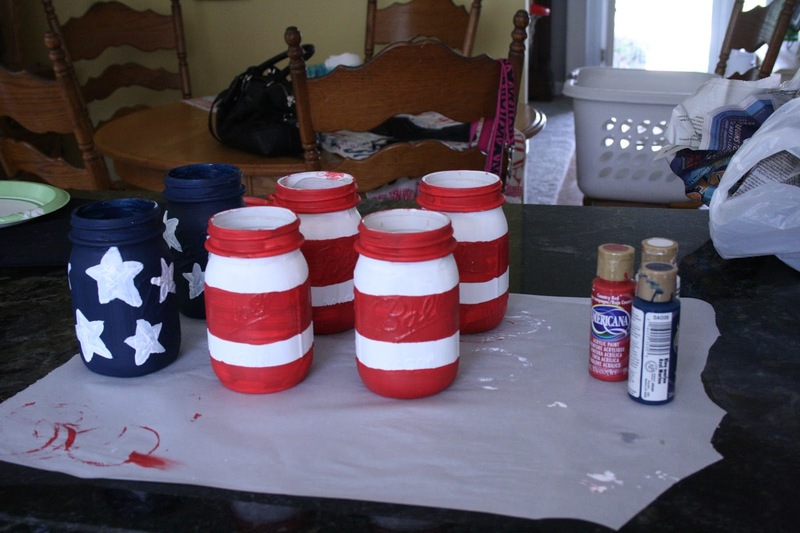 Love the patriotic jars. 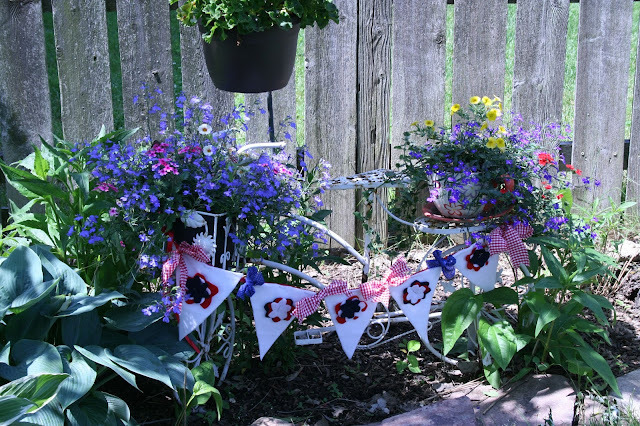 And I REALLY love the bunting in the garden!! 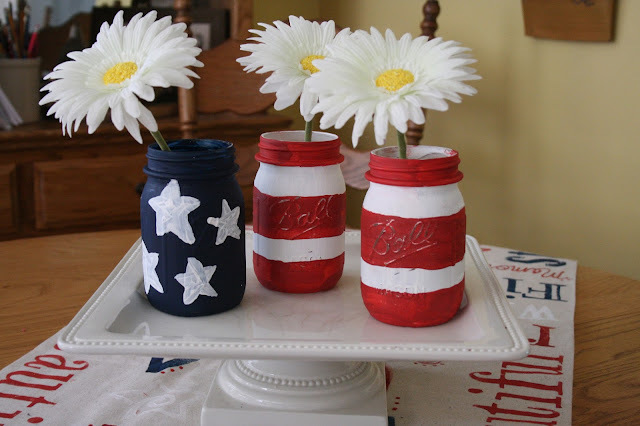 Oh, I just love this idea! 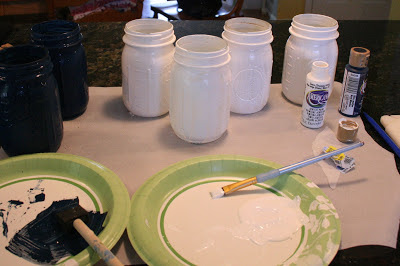 I have about a hundred-thousand mason jars (most of which I do not even use! ), so this is just a great project for me! Oh, and I'm your newest follower via GFC! Do stop by my little spot for a visit: www.winterpastcooking.blogspot.com. 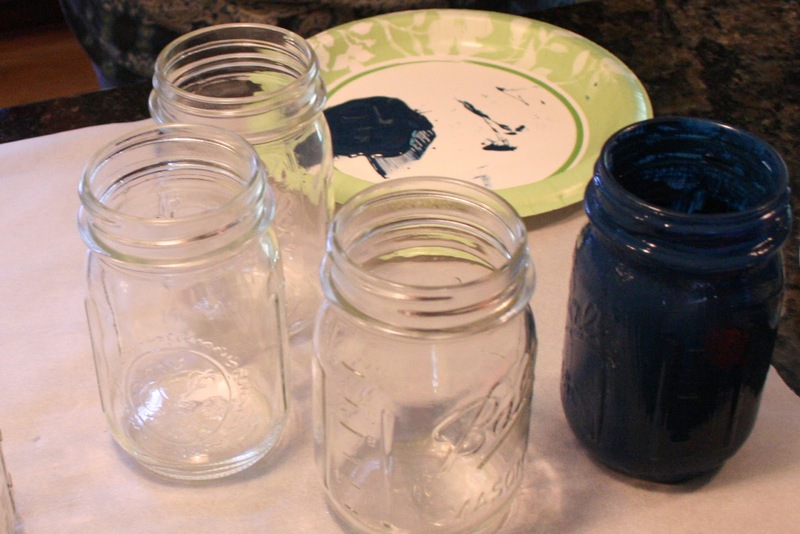 Love the theme of your jars. 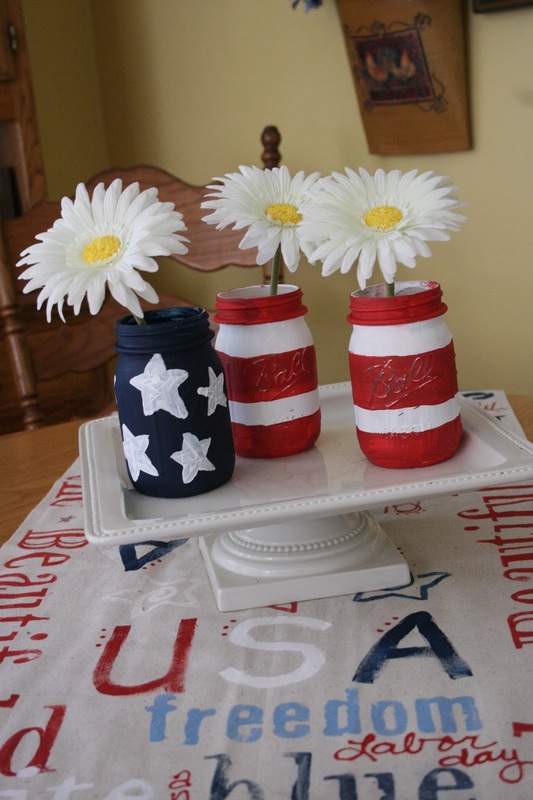 Love all the patriotic designs! 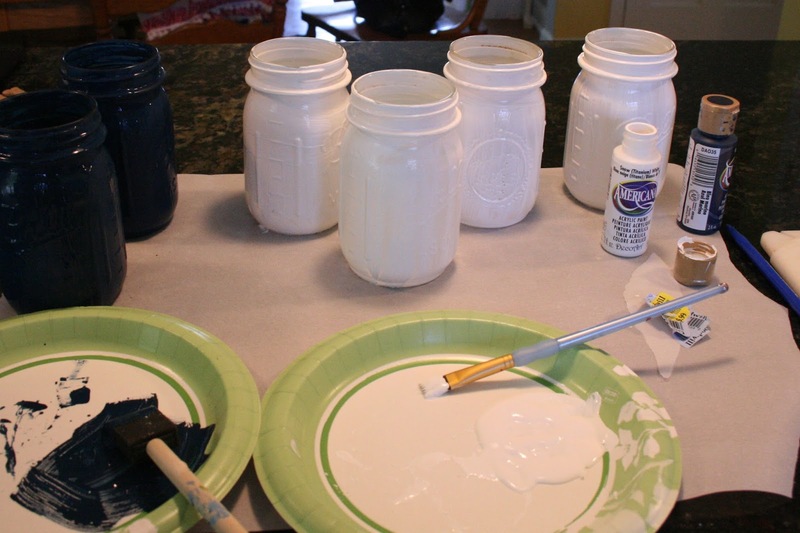 I always love your ideas, Priscilla--the jars and the banner turned out great! Very, very cute and very very fun! Love this project! Great tutorial as well. You have been very busy with the red, white and blue. I think I actually have time to get mine all up tomorrow. Very festive Priscilla. The jars and banner really turned out great. Your home looks so festive! Thanks for sharing with SYC. Love your runner, your pillow, banner, all of it. So festive and so pretty, clean looking, not cluttered. Happy 4th. Where did the time go, it's almost the 4th. already. Good thing I made the cushion covers when I did. Should have made a table runner also but another year. I have tons of patriotic fabric also, going to use on front porch railings.